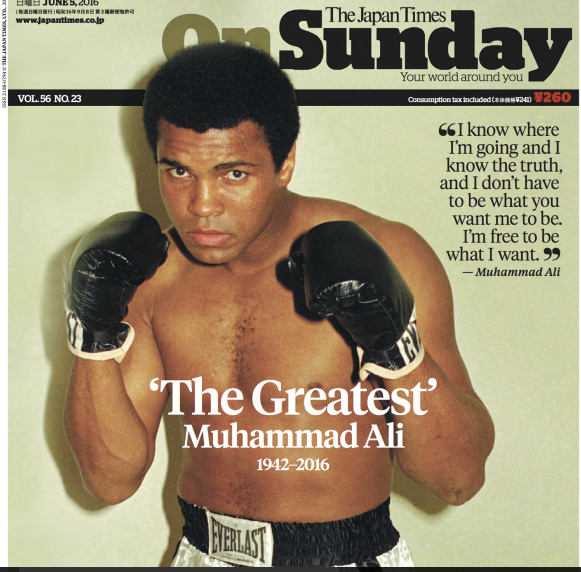 The recent death of Mohammad Ali has sparked a whole new conversation about this great athlete and his influence which extended far beyond the world of boxing. News of Ali’s death spread quickly throughout the world. I enjoyed taking a few minutes just to compare and contrast the ways different newspapers chose to announce his death to their readers. To view some sample front pages, check out this article from Ad Age magazine.